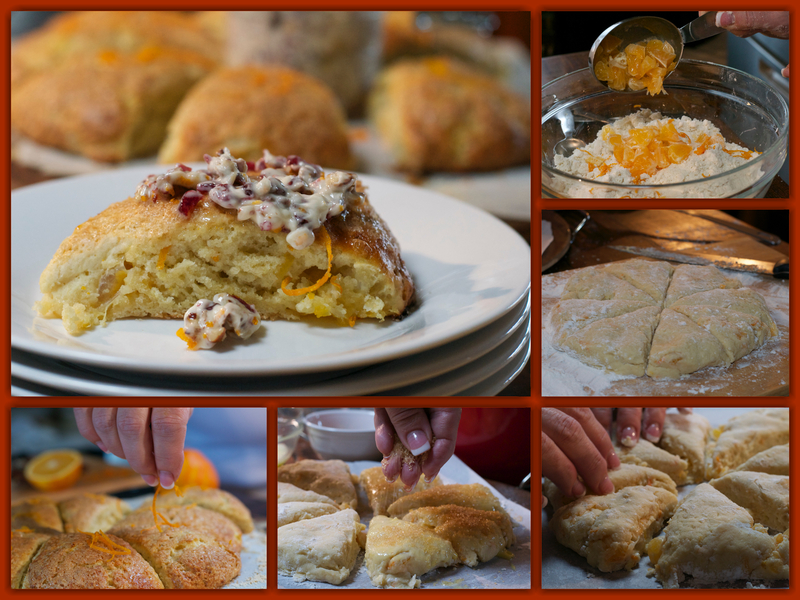 Orange Clementine Scones-What the "Forks" for Dinner? Turkey Day is over and Black Friday is here……..if you are a big shopper, I hope you got great bargains. Me ……..I avoid Black Friday shopping like the plague. I know……. what kind of woman doesn’t like to shop? Although Tim would disagree, I really do not enjoy crazy frenzy shopping. I would rather the crowd be sparse and the lines short. I do although enjoy grocery shopping anytime…..crazy huh! 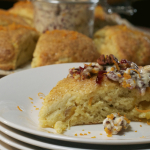 But, having a few days off gives you……and me…… chance to do something special for breakfast……..Orange Clementine Scones with Cranberry Pecan Orange Butter. Just think ,setting back with a nice hot cup of coffee and a scone……. lightly scented with orange, topped with a sweet tart nutty compound butter………ahhhh! 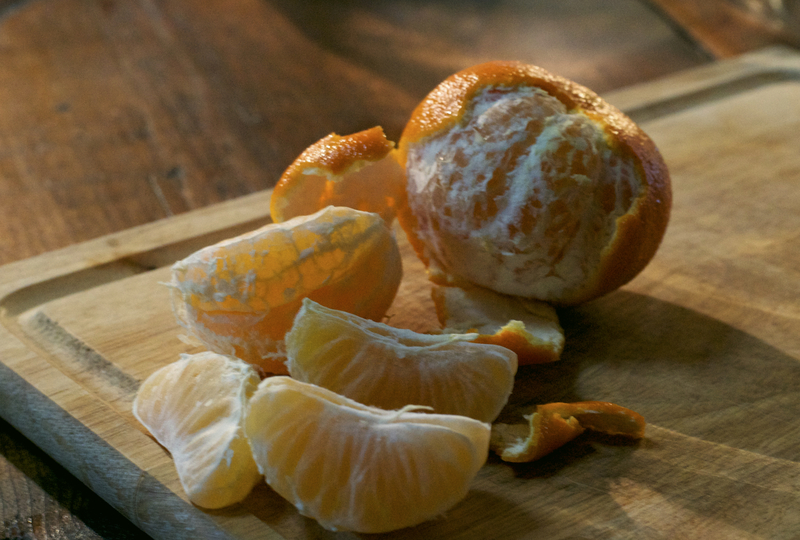 When we were at the grocery store last, I made mention of the “Cuties”, the little clementine oranges in the boxes, well it seems Tim loved them as a child…..who knew? So, we bought a box………..once home Tim peeled one right away, and the scent gave me an idea for maybe muffins or something of the sort…………sconces……..now thats the ticket. 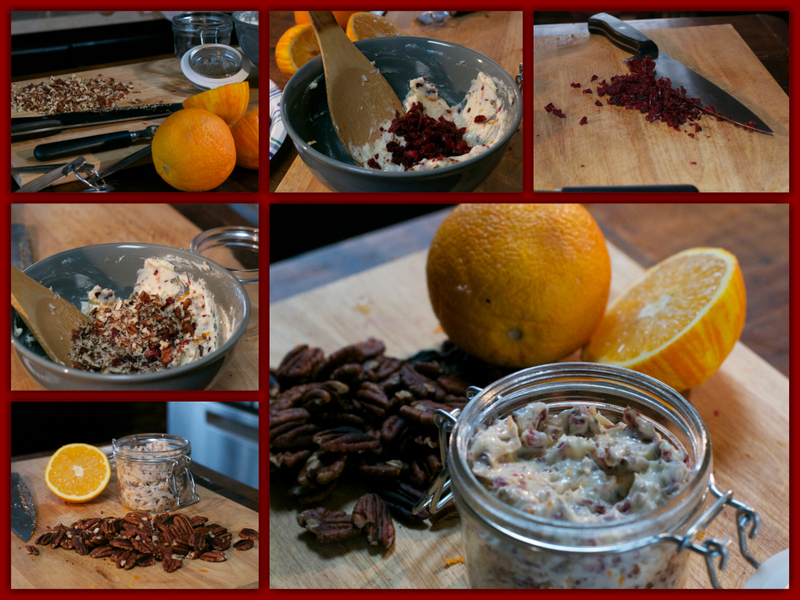 I still had the scone idea in my mind while cruising Pinterest and came across a recipe for Cranberry Orange Pecan Butter from Pat’s Pink Apron …….a great blog by a young woman who obviously loves food. It sounded like the perfect accompaniment for the sconces………Thank you Pat! The scones came out beautiful, with just a slight orange flavor and not over powering. Now, about that butter……..it was perfect…….not only for the scones, but later when all the scones were gone, it was luscious on toast made from an Artesian Bread I found at the store………. 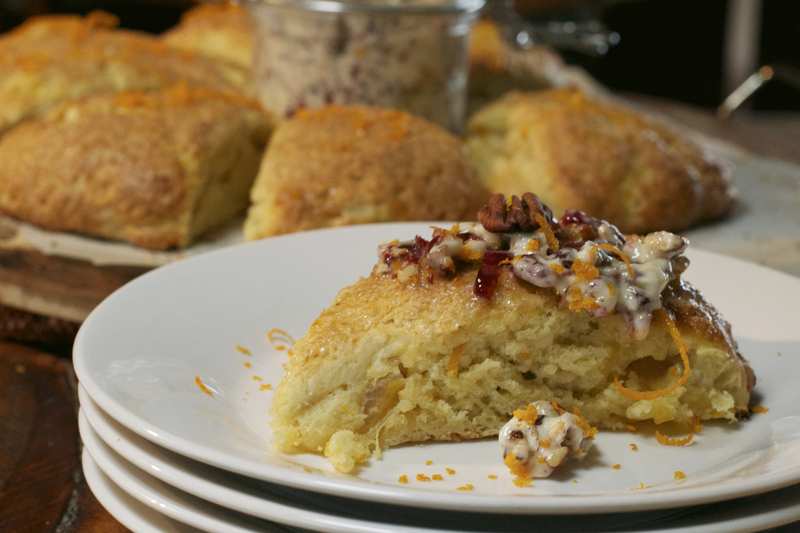 made with cranberries and walnuts. I originally bought the bread for turkey sandwiches…….you know for the left over turkey. I used the left over bread from the sandwiches for toast……topped with the butter…….hmmm……hmmm…..hmmmmm! Nice thing was, the leftovers scones were great for a grab and go breakfast for Tim on his way to work, and for me while relaxing with that cup of coffee…….working at school does have it perks…….extra days off for coffee and scones. Treat your family or friends………these would make a great food gift for the Holidays. 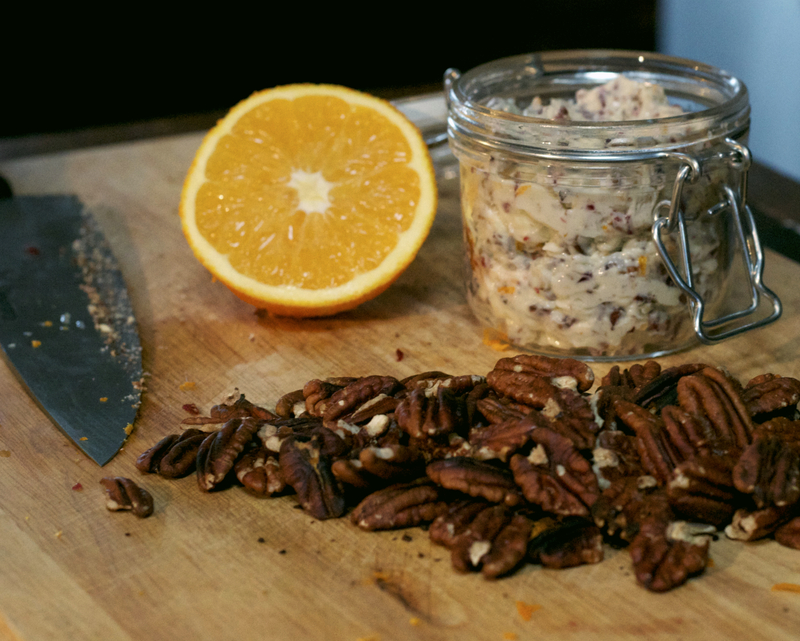 The butter could be made and put in decorative containers, or as Pat did in her recipe, made into logs and then rolled in pecans and cranberries. Wrapped in parchment and tied with pretty ribbon, it would make a very special gift for the hard to buy for. So make the scones and butter for a gift or a gift for yourself! Grate butter ( or cut into small pieces) using large wholes on a box grater. Work butter into dry ingredients with hands until mixture is the size of small peas. Whisk half and half, egg, zest, and orange extract until well blended. Stir egg mixture into dry ingredients. Mix until just blended. Dump mixture onto well floured surface. For into an 8 inch circle. Cut into 8 wedge pieces. Place on parchment paper lined baking sheet about an inch apart. If desired brush with egg was (1egg beaten with 2 tablespoons water) and sprinkle with sugar. Bake for 15-17 minutes or until , golden and fully baked. Scones will be firm to the touch. In a small bowl combine butter, 2 tablespoons chopped cranberries, orange zest and juice. Place in decorative jar or roll in parchment paper to form a log. Serve with toast, scones, or muffins.